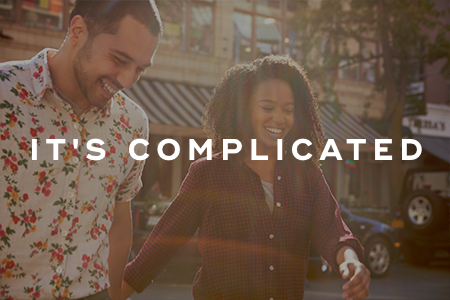 You're probably heard it countless times -- when it comes to love, opposites attract. But is this saying actually true? While you might be different from your partner when it comes to things like hobbies and personalities, most people in successful relationships tend to share the same values and beliefs. That means they might share the same religion, political views, desire for children, and level of education. So while you might think of your partner and you as being opposites, when you get down to the things that really matter in a relationship, you might discover that you both have more in common than you once thought. Interests. Most people in relationships will not share the exact same musical tastes, movies, TV shows, and books. Personality. Research shows that couples don't need to have similar personalities for their relationship to be successful. In fact, different personalities can be an asset because it will provide the relationship with complementary resources. Career. If your partner works in a different sector, that's totally fine. Most compatible couples do have completely different careers. Cheating. 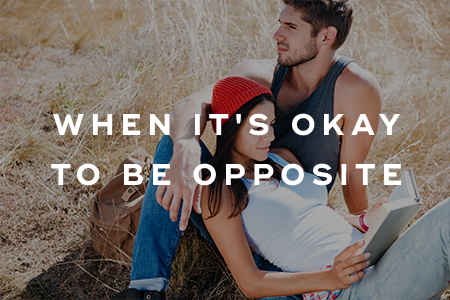 It's crucial to be upfront with what you're okay within your relationship. Define what constitutes cheating for you, and make sure your partner is on the same page. If they disagree with your attitudes toward infidelity, then this might create considerable problems in your relationship. Kids. When it comes to major life decisions, such as getting married or having children together, both your partner and you should be in consensus. You might want to reconsider your relationship if none of you are willing to compromise. Spending. Does your partner prefer to spend money freely while you save every last dime? Finances cause most of the major conflicts within relationships. If you notice there is a clash when it comes to finances, you should come to an agreement early in the relationship. But if you can't come to an agreement, then a prenup might be in your best interest. 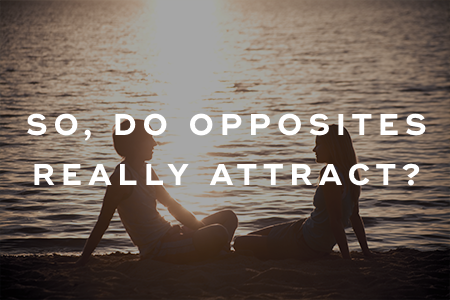 So, do opposites really attract? The answer is both yes and no. 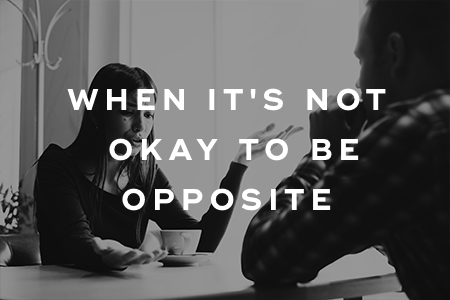 On the surface, it might seem like you and your partner are opposites. But when it comes down to more profound things, such as spending and morals, you'll probably notice that you and your partner are quite similar. And if you're dissimilar where it counts, then your relationship might be doomed to fail. "Do Opposites Really Attract?," Cosmopolitan, September 17, 2013. "Do Opposites Attract?," WebMD, n.d.
"Do Opposites Really Attract? It's Complicated," Psychology Today, December 29, 2014.